Our product line is certified by the Falcão Bauer quality Institute. More performance for your work is what moves us. Present in numerous works across the country, Construcril offers a specific Service Sector for sales in large batches. We invest in technology and in amplification of our industrial park, always with the aim of providing more and better solutions for the building industry. 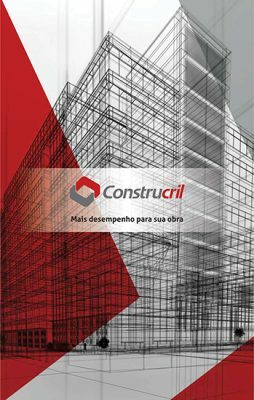 A member of the VR Group, Construcril develops products and solutions in chemical for civil construction, based on concrete needs and fully identified in the experience of the construction site. Construccion Chemicals for Civil Construction, industry that benefits products for construction, is a member company of the VR Group, composed also of the companies R. Bassani Drywal that works with projects, execution of works and distribution of products and services in drywall, by B & P Industrial Resins , An industry focused on the production of synthetic resins, and DryFrame Construtora e Incorporadora, focused on the execution of works in dry-building systems (Steel Frame and Drywall). SUSTAINABILITY AND CIVIL CONSTRUCTION: CAN YOU WALK TOGETHER?